KSRBA is a state club that takes in all of the KSRBA Local Clubs in Kansas. 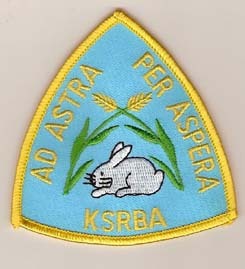 By joining one of the seven state clubs you are automatically a member of the Kansas State Rabbit Breeders Association. Benefits include, gaining points at each show you attend in the state, receiving bi-monthly newsletter to keep you informed about all the state news and getting each show catalog for the state clubs. Youth members are eligible to complete in the Royalty Contest and apply for scholarship. There are three state meetings held each year. All members are welcome to attend.